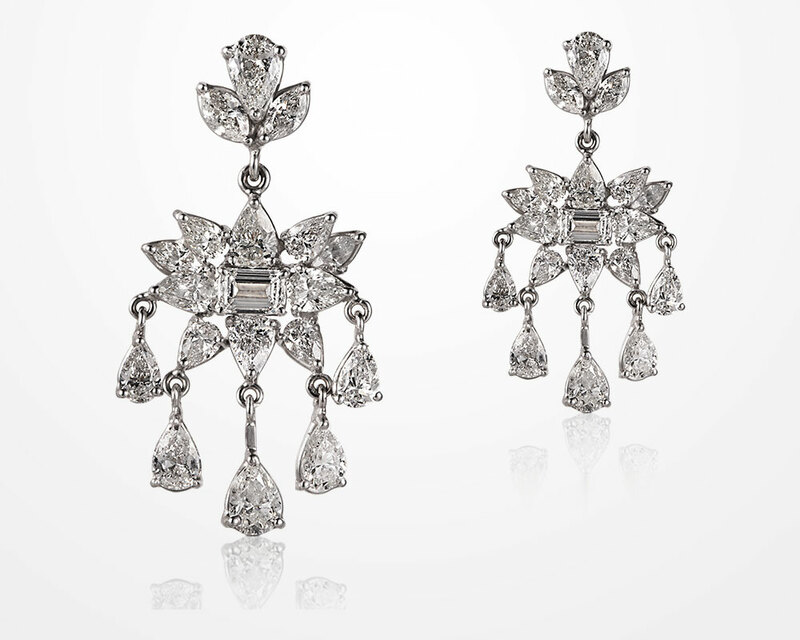 Each top set with a pear-shaped and marquise-shaped diamonds, suspending a cluster of rectangular, pear and marquise shaped diamonds, mounted in white gold. 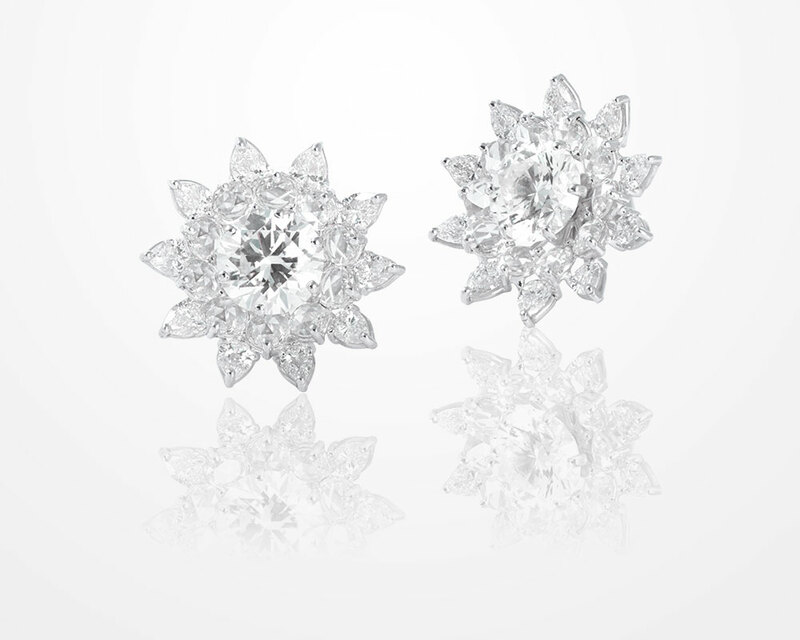 Designed with vari-shaped rose-cut diamond, mounted in white gold. 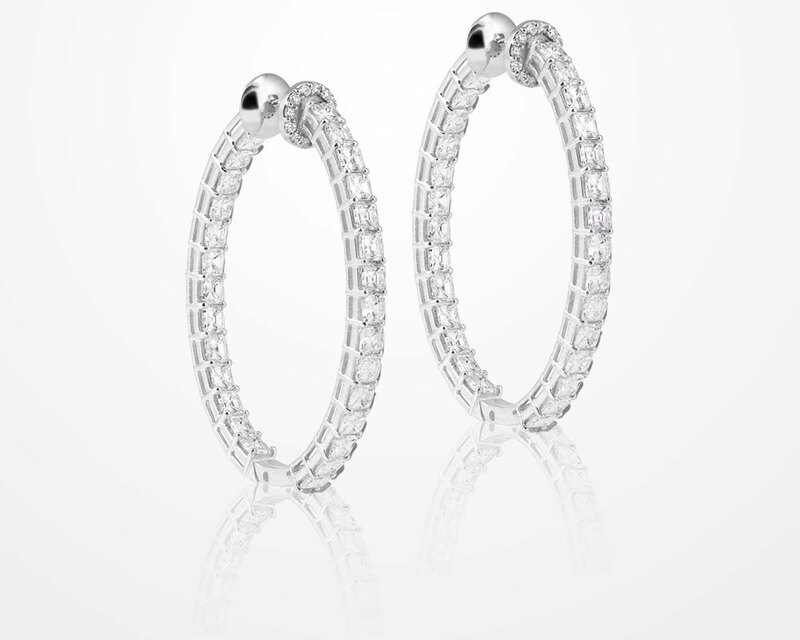 Designed with a circular-cut diamond, weighing approximately 3.45 carats enhanced by circular-cut diamond half hoop, mounted in white gold. 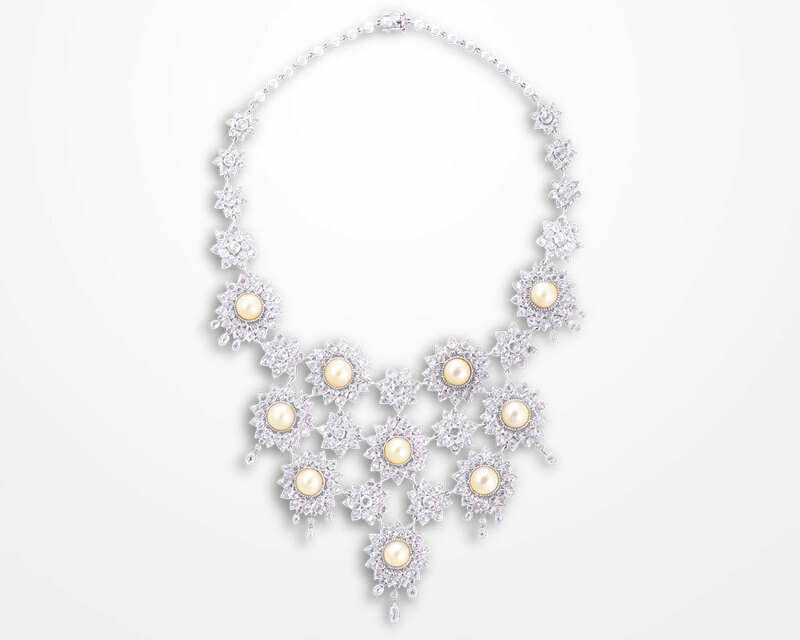 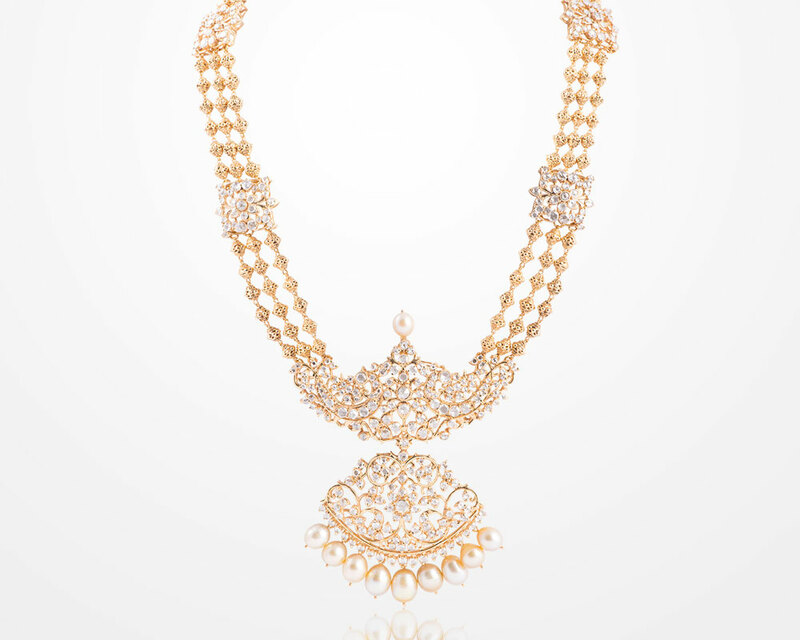 Designed with gold carved with rose-cut diamonds in a traditonal Indian motif enhanced with south-sea pearls, mounted in gold. 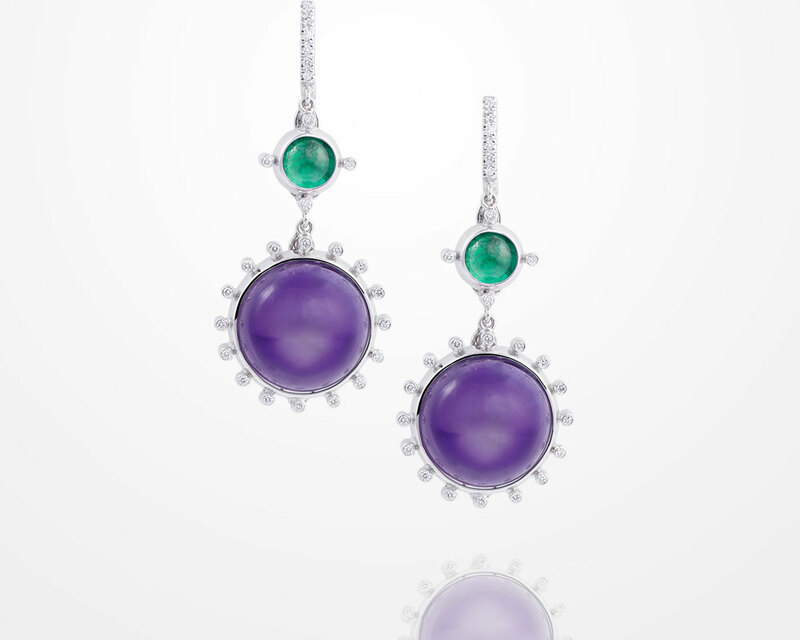 Each suspending a cirular amethyst and emerald cabochon,within a circular cut diamond halo, joined by a semi loop set in circular cut diamonds mounted in white gold. 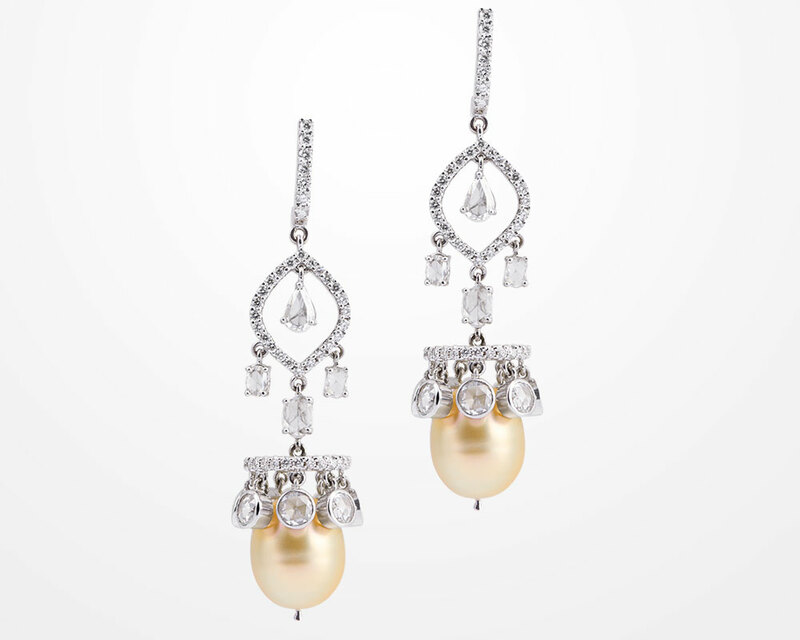 Each suspending an oval-shaped gold pearl, within a circular and rose-cut diamonds ring from a half halo circular diamond enhanced by oval and pear-shaped rose-cuts, mounted in white gold. 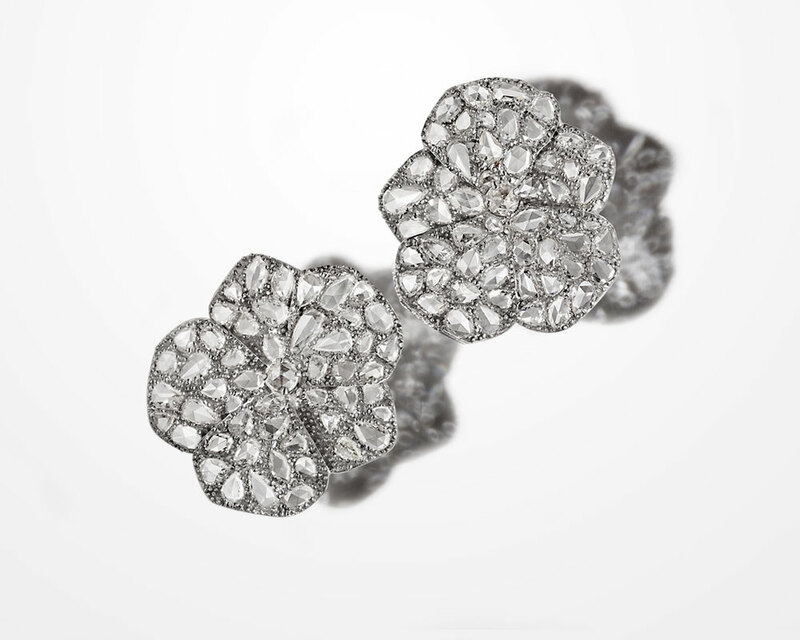 Each brilliant- cut diamond centre within a rose-cut and pear-shaped diamond openwork surround, mounted in white gold. 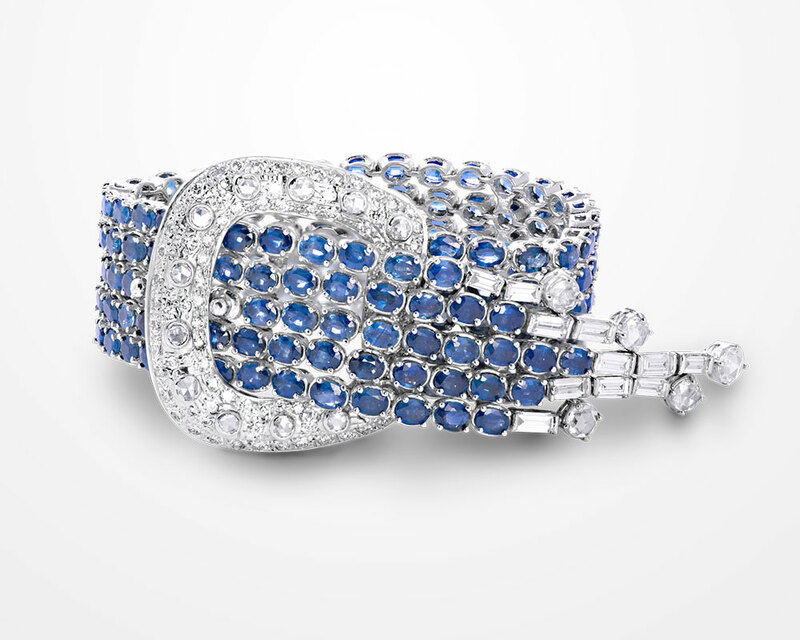 Designed as a coiled serpent bracelet, the body with culture pearls and diamonds, the head with pear-shaped diamond eyes, mounted in white gold. 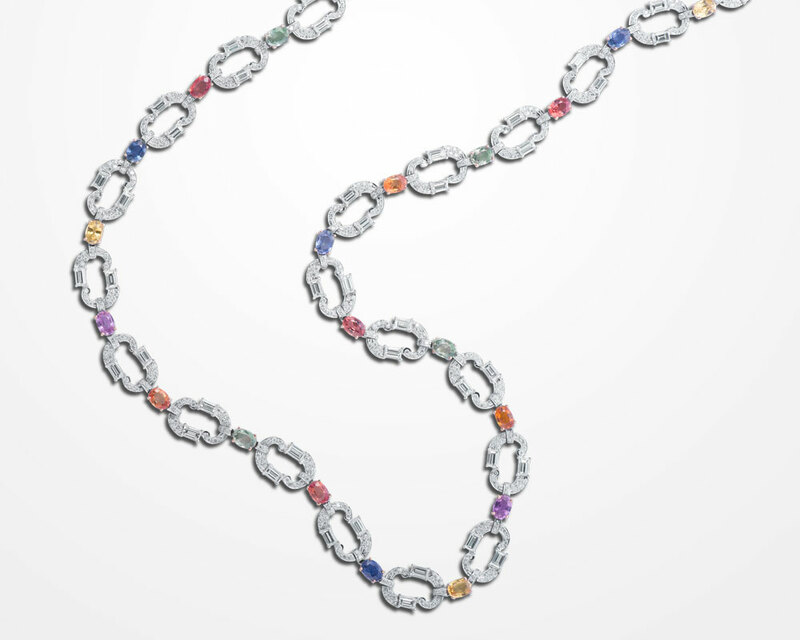 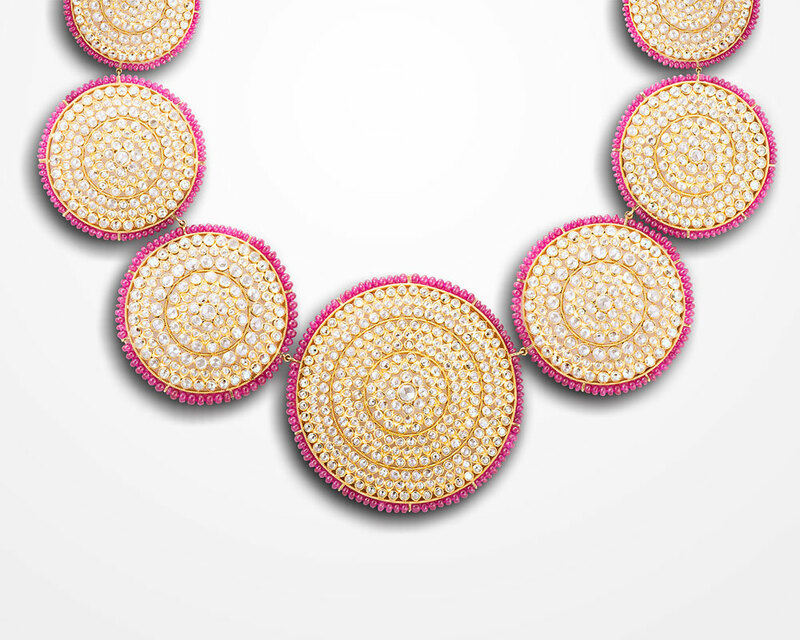 Designed as a graduated circular motif set in rose-cut diamonds enhanced by fine ruby beads, mounted in gold. 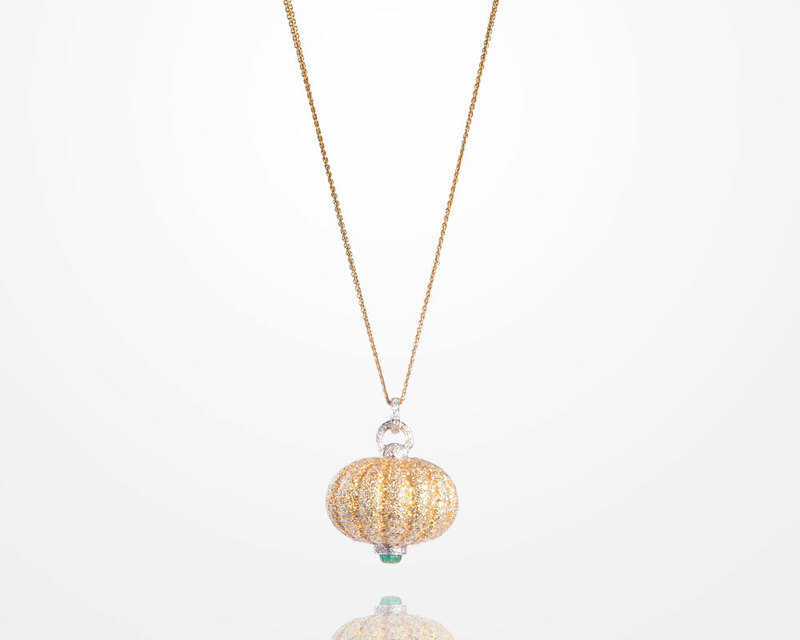 Designed as a melon, set with fancy color yellow and circular cut white diamonds, enhanced with melon shaped carved emerald suspended in a hand linked gold chain, mounted in gold. 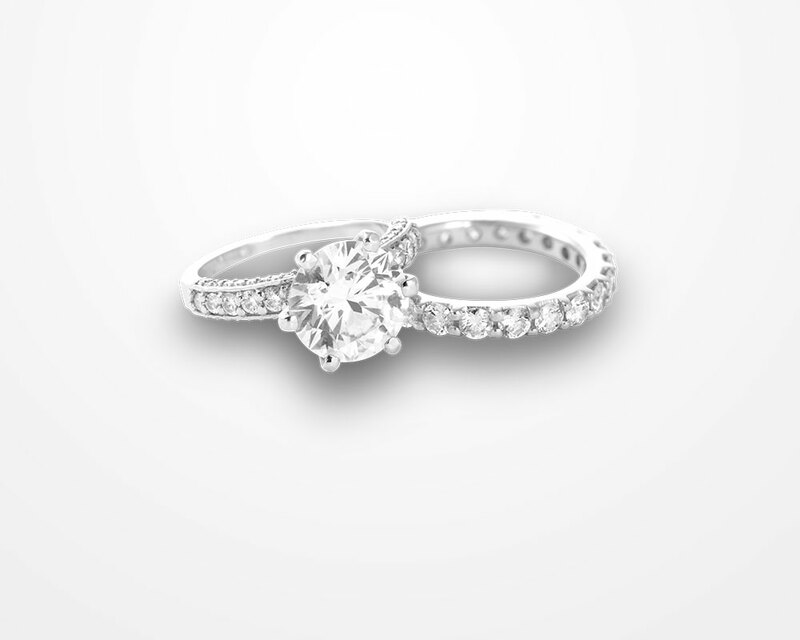 The articulated band set throughout with asscher shaped diamond enhanced by halo of brillaint cut diamonds, mounted in white gold. 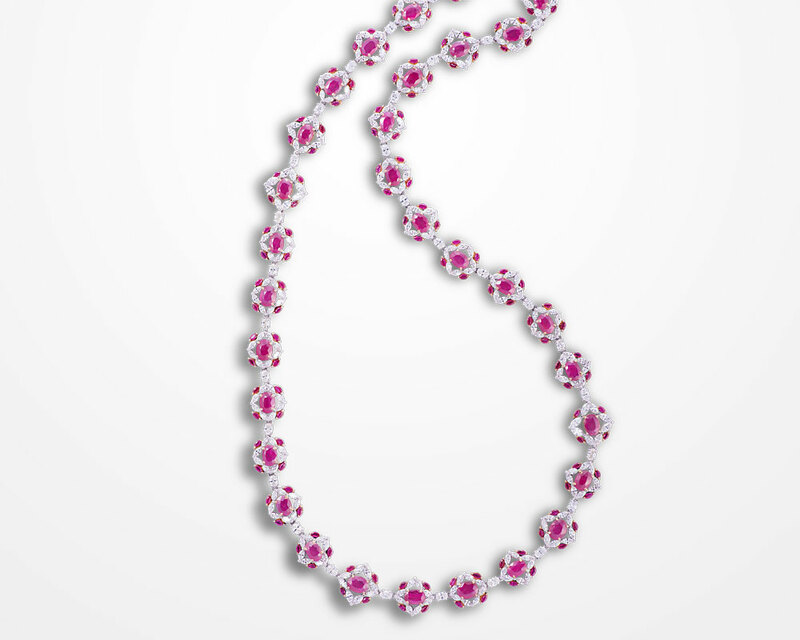 Designed throughout with oval ruby surrounded with marquise- shaped diamond and enhanced by rubies cut in a marquise shape, mounted in white gold.